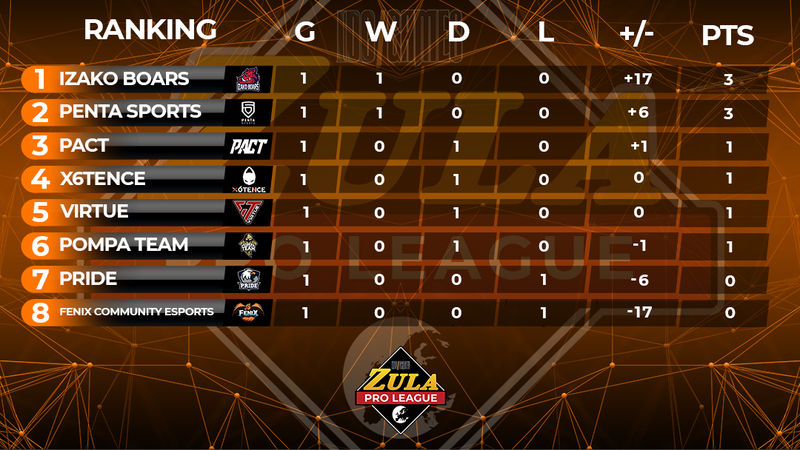 The first week of the Zula Europe Pro League has already ended and we have enjoyed a magnificent show in each and every one of the matches. 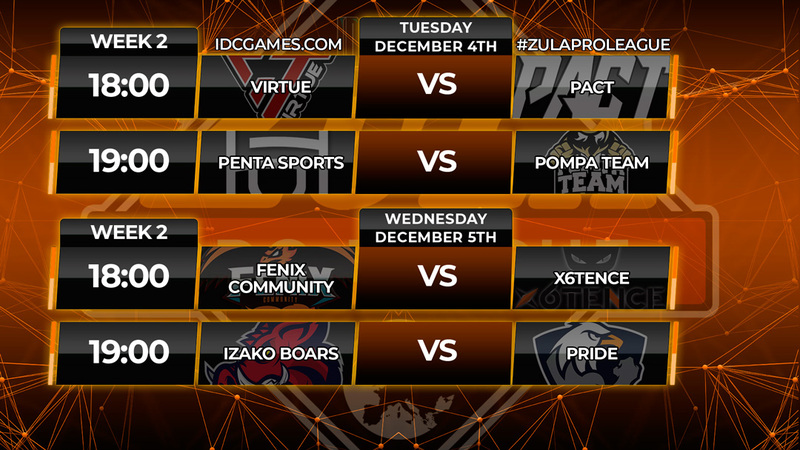 In the first match between Izako Boars against Fenix ​​Community Esports we have seen how the World Champions have demonstrated once again their dominance in Europe with results of 10 - 2 and 10 - 1 in the confrontations. In China, the first map, Fenix Community players managed to win 2 rounds in their attack phase which were not enough to avoid the defeat of their defense phase, in which Izako Boars managed to finish the match winning 3 rounds in a row in their attacking phase. In the second clash, which took place in Old Town, Izako Boars, who started as Gladyo, got an almost perfect defense conceding only one round to the rival team. On the other hand, Fenix ​​Community could not stop the attacks of the wild boars, which closed the game getting the first two rounds of their attack phase. 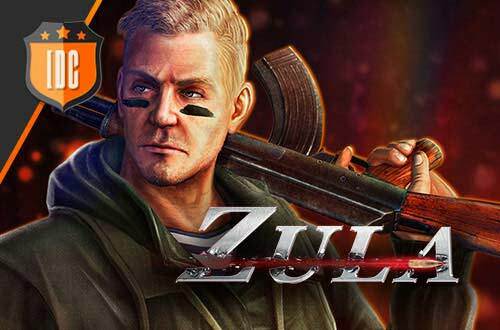 The second match took place between PENTA Sports, representatives of Europe in the Zula International Cup 2018, and PRIDE. Both teams showed a great level in the first map, Old Town, but finally the German organization won with a result of 10 - 6 thanks to the stellar performance of unbre, always accompanied by his AWP. In China, the second map, we enjoyed an amazing show. 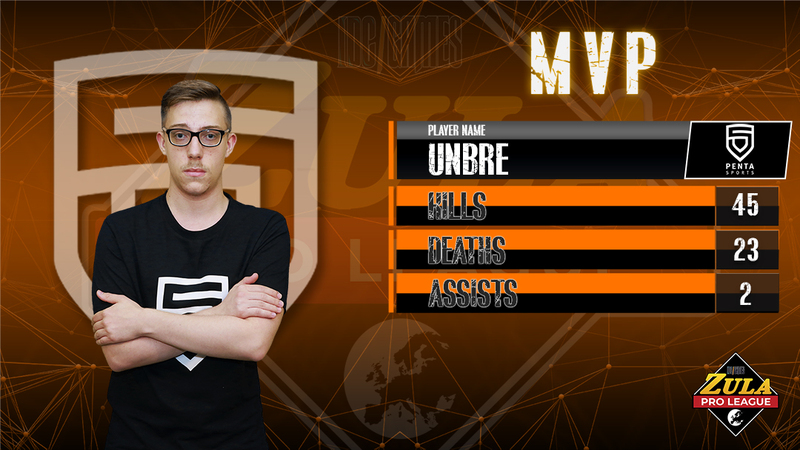 unbre continued to prove his worth by getting a KDA of 2, making it clear that at the moment he is the star player of PENTA Sports. luxon1337 and the other PRIDE players could not avoid the defeat, but proved their worth before a very strong team and made it clear that they are one of the teams that can fight the most in this edition of the Zula Europe Pro League. We arrive at the third match of the first week in which the aliens of x6tence and the Polish team VirtuE faced each other. Both matches were opted for the side of one of the two teams in a brutal way. We saw a tie to 1, but the results of the matches were 10 - 3 in Old Town in favor of VirtuE and 10 - 3 in China in favor of x6tence. Both teams left their shortcomings in the defense rounds, but they showed immense potential in the attack rounds. The most outstanding players were b07a, on the part of VirtuE and hunteR` on the part of x6tence. Both teams achieved a point in the ranking, thus remaining in the middle of the table. 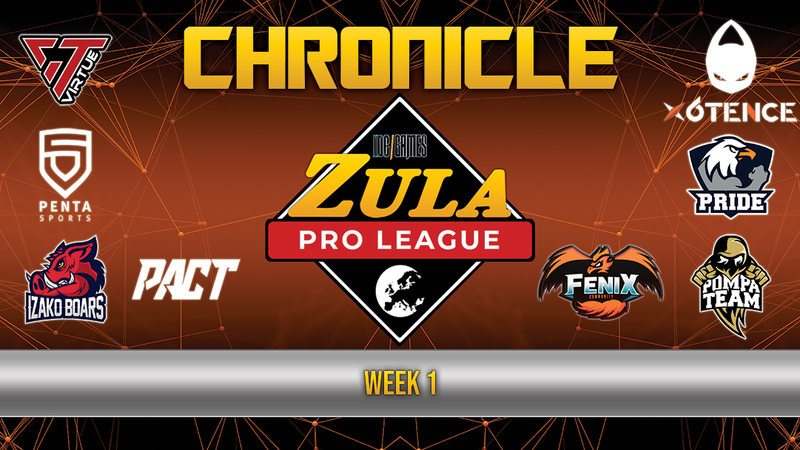 The last match of this week faced PACT and Pompa Team offering us the first Polish derby of the Zula Europe Pro League. The two maps were very close, Old Town and Wedding Hall. In the first map v1lczek was the key player for Pompa Team to get the victory, but we could enjoy a spectacular showdown in which the PACT players did not give up at any time. In the second match, the PACT players took the initiative and turned the situation around achieving a key victory that allowed them to obtain at least 1 point in the general ranking.